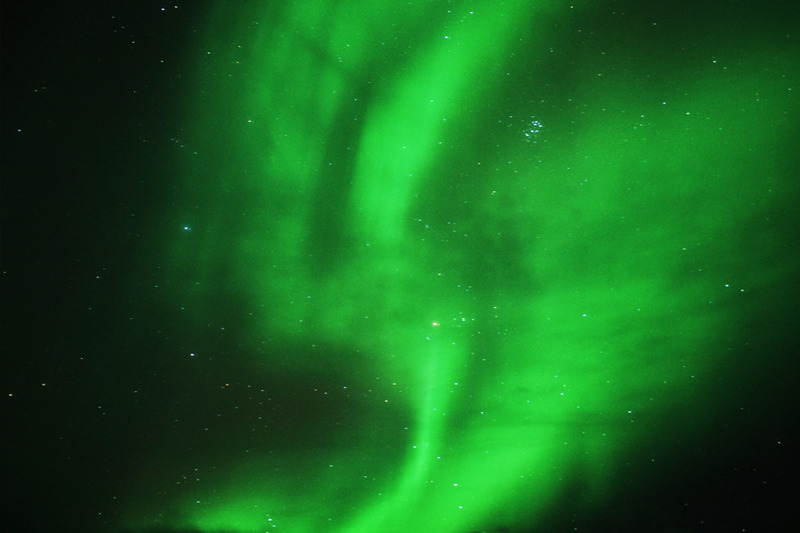 While I’ve heard that Tromsø is beautiful in the summer, it mainly draws visitors in the colder months because it is one of the best places in the world to view the Aurora Borealis, or northern lights. That’s certainly what brought me to this arctic destination— so I didn’t expect to fall in love with the city for a whole bunch of other reasons. Of all the cities I visited in Norway, Tromsø was my favorite. The locals were so incredibly friendly, the food was amazing, and it had such a laid-back, cozy atmosphere. If I could describe it in a few words I might call it a metropolitan fishing village. We certainly have lots to say about chasing the northern lights, but first let’s talk about where to stay when you head up north. Rates are based on a one-night search for February 2018. Tromsø’s hospitality scene seems nascent compared to larger Norwegian cities like Oslo and Bergen. The Airbnb inventory left something to be desired and there are few if any independently run hotels— especially if you want to be located near the city center. In fact, this is one of the few times our top recommendations include hotels that are a part of a larger chain. 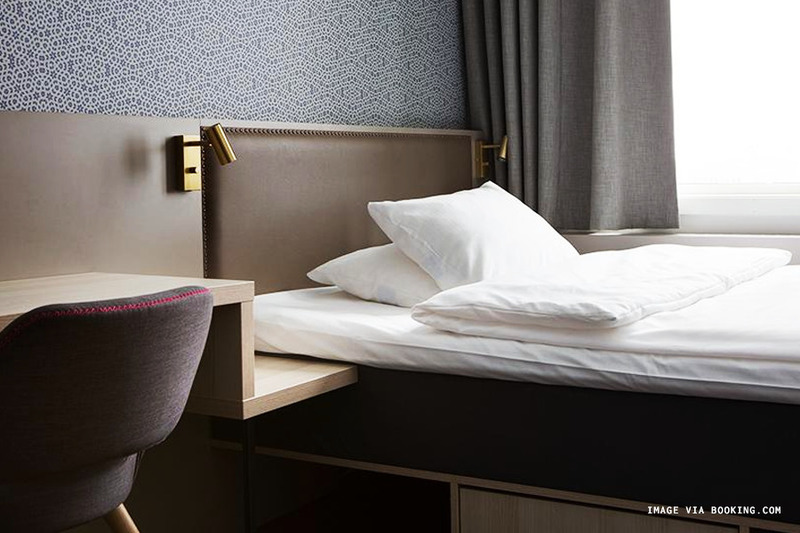 Comfort Hotel Xpress is part of Scandinavian chain Nordic Choice Hotels, which is a franchise of American-owned Choice Hotels, which operates Comfort Inn & Suites in the US. But this isn’t your momma’s Comfort hotel. 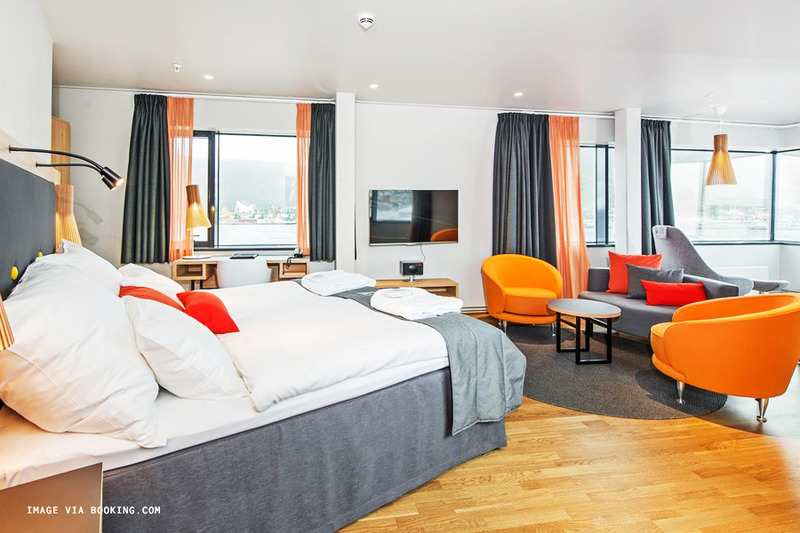 After spending days of research trying to find a place to stay I ultimately decided to stay at Comfort Hotel because of its location, positive reviews, and the price— since Tromso was the last leg of my trip and Norway is expensive, I really wanted to cut costs here. Honestly, I went into this with low expectations but found myself pleasantly surprised by this Comfort Hotel outpost. First, they offer room rates specifically for single travelers. Which is great because as a solo-traveller I hate paying more for space I won’t use. The hotel is centrally located in the town center and walking distance to every single attraction. Besides my trip from the airport I didn’t take a single taxi here which also helped with my budget. Lastly, as a little cherry on top the hotel lobby has a well-stocked deli stand with grab-and-go items and drinks like coffee and wine available for purchase, which was super convenient when I didn’t feel like going outside in the cold. Check-in and check-out is also done via a tablet in the lobby for minimal human interaction, if that’s a thing you want. I’d be lying if I said I didn’t pay attention the interior design of the places I stay at. I do, and sometimes I find that the aesthetics of these modern boutique hotel chains can be a bit tacky— a little IKEA but with all the leftover green and orange furniture no one wanted. Comfort Hotel Express was actually a step-up from that, although certainly youthful in appearance. It’s like how I imagine Hollywood would interpret what a college dormitory should look like, if that makes sense. The only downside to my stay here was the sad little view from my room of a back alley (look to the more expensive waterfront hotels for a better view) and because it was so youthful there were a couple of loud groups of students staying on my floor. Which wasn’t a huge deal for me because I’m a deep sleeper, but something to keep in mind. Comfort Hotel Xpress has an elevator for wheelchair access to rooms on the upper floors, as well as ground floor units. 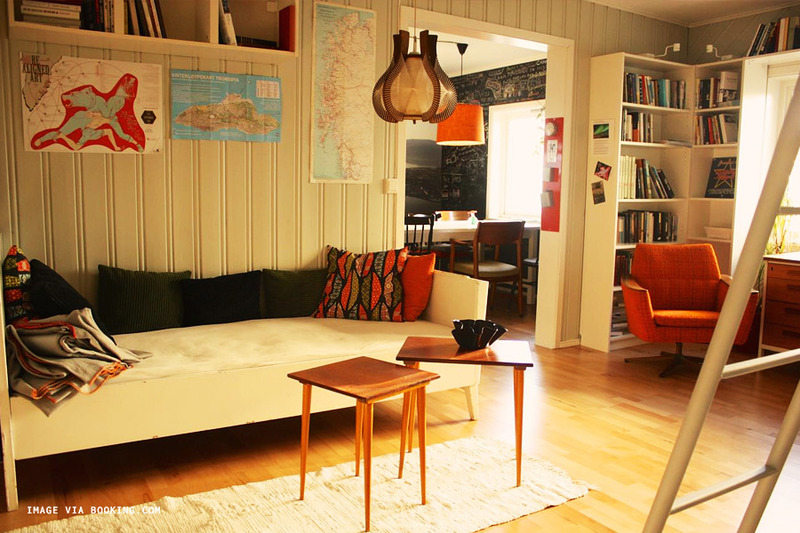 So admittedly this was my first choice for where to stay in Tromsø, but the small guest house sells out fast so it’s better to book this place way in advance. It’s one of the few individually owned lodging options in the city and while single rooms start at $95, the best deal is the triple room that if fully occupied comes out to a little over $50/night. Bed & Books is run similar to a hostel with shared bathrooms and common areas, including, you guessed it, a generous library for your perusal. My only initial hesitation to staying here was that as a solo-traveler it seemed a little farther out from the city center and I was worried about walking back at night, but having now been to Tromsø and I think the distance is actually not that far at all, and I felt fairly safe walking around at night. I would definitely try to stay here the next time I’m in town. Bed & Books doesn't specifically state that they are wheelchair accessible. Considering what we know of the architecture and the presence of stairs, we wouldn't recommend this spot for wheelchair users. 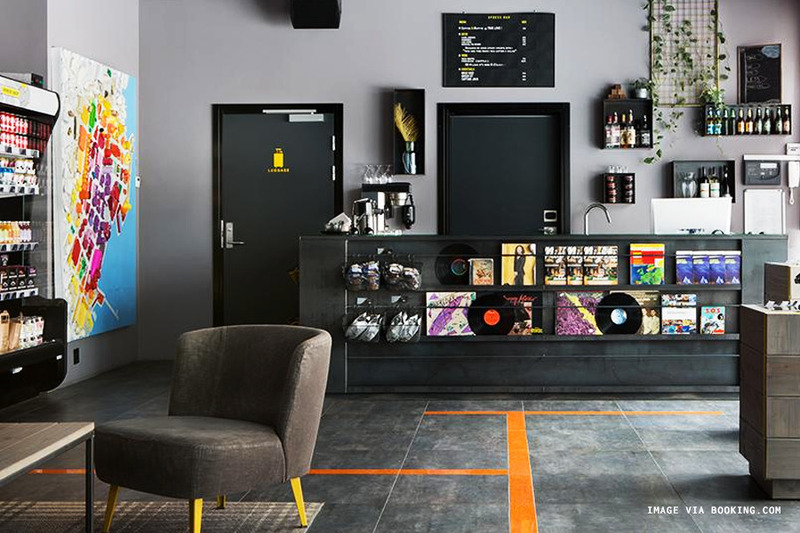 Clarion is another brand operated by Choice Hotels, the same parent company responsible for Comfort Hotel Express. 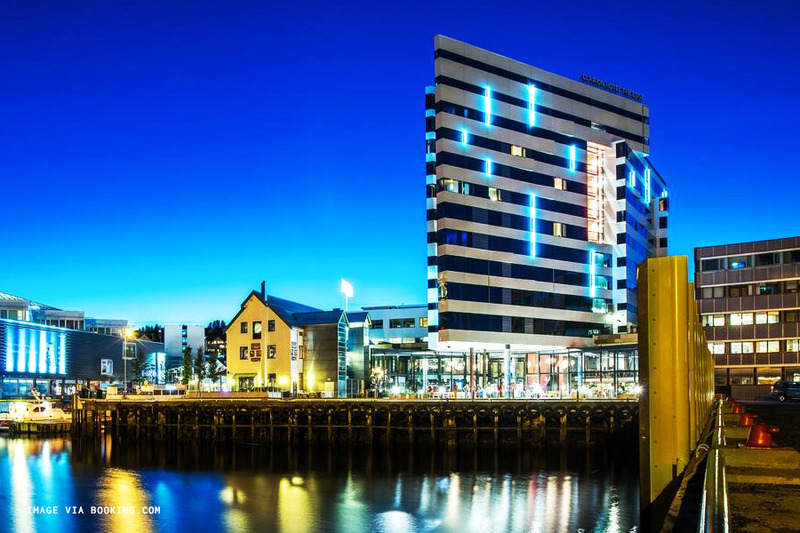 While our other suggestions are perfectly reasonable for couples, if what you’re after is romance than The Edge is a much better choice because of its location on the harbor and majestic views of the water, Arctic cathedral, and surrounding mountains. It’s the most centrally located of the options presented here and also a great choice if someone else is footing your hotel bill. The hotel’s restaurant, Kitchen & Table, is run by Marcus Samuelsson and features dishes that combine his Scandinavian background with New York influences. Breakfast at the hotel is also included in most rates, and The Edge also offers lower rates for single travelers. The Edge has facilities for disabled guests. While there are certainly plenty of Airbnbs available, I felt like it was hard to find one that met all of my criteria without trade-offs. For one, I prefer to rent out an entire apartment for privacy and safety. Second, I only want to stay in an Airbnb where the value is better than staying in a hotel. That means I want something that is clean, well-decorated, in a good location, for less than I would pay for a hotel. Third, reviews matter a lot to me, again for safety reasons. So I personally found it difficult to reconcile all of these things in Tromsø. The options with more affordable rates were often private rooms and not as centrally located. Renting an entire apartment was often more expensive than the hotel rates and the few well-priced options had less than ten reviews. 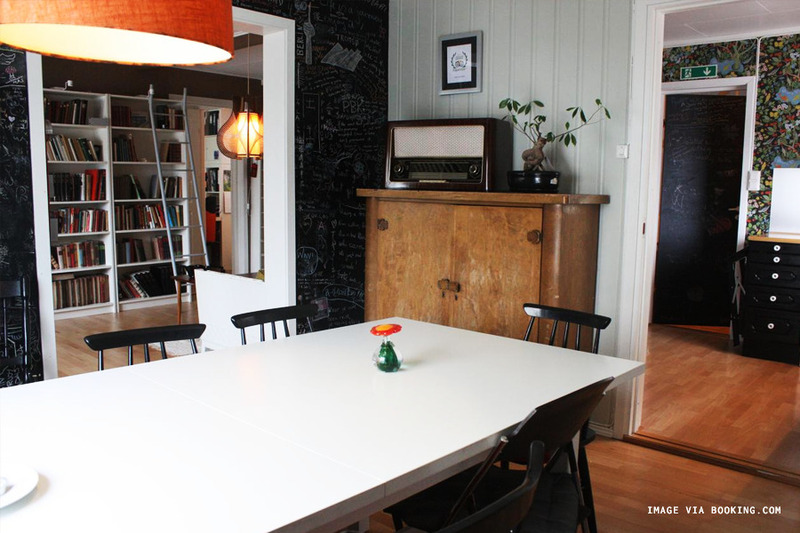 I think it’ll be really interesting to watch the hospitality scene in Tromsø ramp up over the next year or so— the influx of new properties on Airbnb is certainly a sign that it’s coming. This is what you come to Tromsø for. 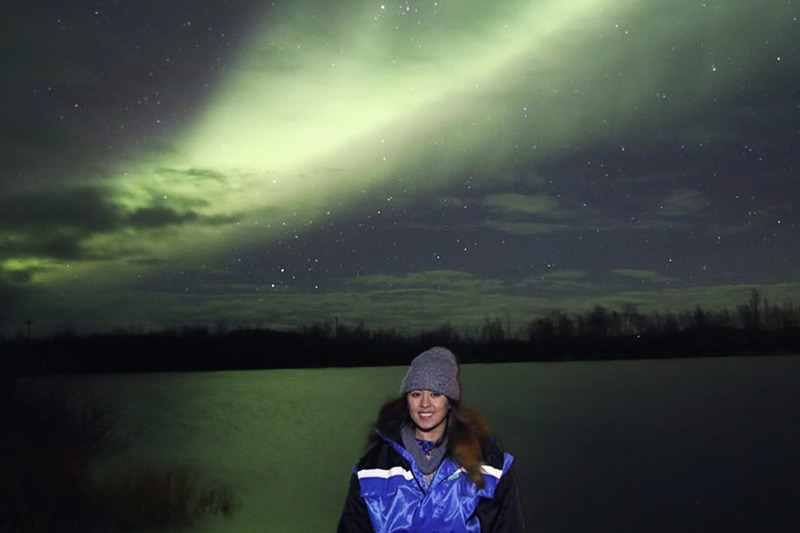 There's a whole industry around northern light tours and it's fascinating to me because despite being independent competitors all the tour guides essentially work together and constantly communicate with each other throughout the night so that if one person finds the lights, everyone else does too. You'll notice that the tours are often describe as northern light "chases" and that's because there's no guarantee you'll actually see one. But if you pay for a tour these guys will do everything possible to make sure you do. It was raining the night I went on my tour and our guide drove us three hours across the border into Finland to find us a clear patch of sky. The place we ended up, Kilpisjärvi, was recently featured in a recent article by Away as the best place to view the lights. The tours can be a little pricey (around $150 per person) and many of my friends have opted instead to rent a car and find the lights on their own. However, since I was traveling alone I felt more comfortable going on a tour and looking back on it I think the price was justified for the total experience. Most of the tours limit themselves to about 12 people, the amount that can fit into a small van. It's a really intimate experience and actually great for meeting other travelers because, at least in my case, it was a nine hour long experience. Three hours driving to find the lights, three hours camping out for them, and three hours driving back to Tromsø. The vans are equipped with high speed wifi for the long drive and the guides were incredibly knowledgable and prepared— ours brought snow suites for everyone as well as hot tea and coffee, and set up a campfire and cooked everyone reindeer hotdogs. Most of the guides are also professional photographers who can help you adjust your camera to the proper settings to capture the lights. Taking the gas, food provided, and expertise of the guide and the cost of living in Norway, I felt like the cost of the tour was worth it in the end for me. The specific tour I went on was Enjoy the Artic with Andrei, who was amazing, but from what I understand the experience is consistent across the main tours you can find on TripAdvisor. One of my favorite places I ate in all of Norway. Bardus is a cozy little gastropub with the friendliest staff (the waitress gave me tons of suggestions on things to do in Tromsø). 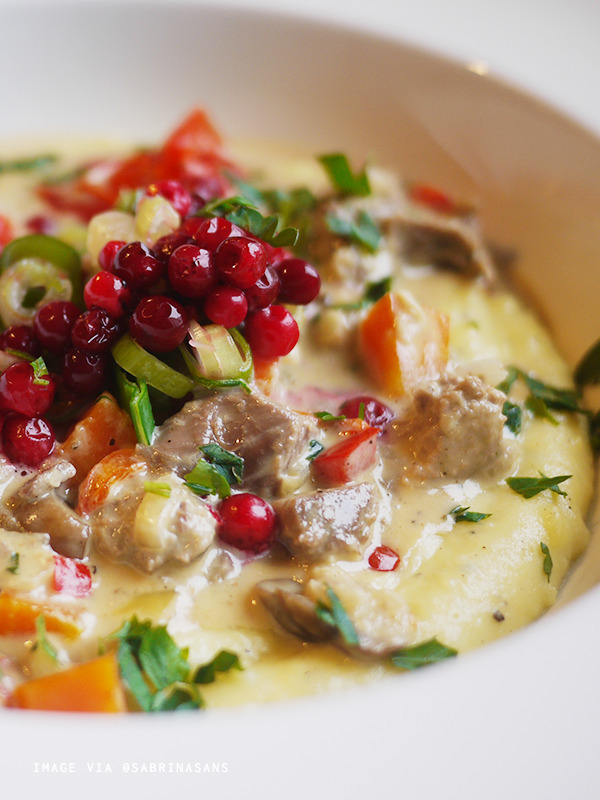 But more importantly I had this creamy reindeer ragout with lingonberries and it was so, so good (sorry, Rudolph). They also serve beer from a local brewery in town, in small glasses which was the perfect portion size for me and also a really great way to avoid getting hammered over lunch. 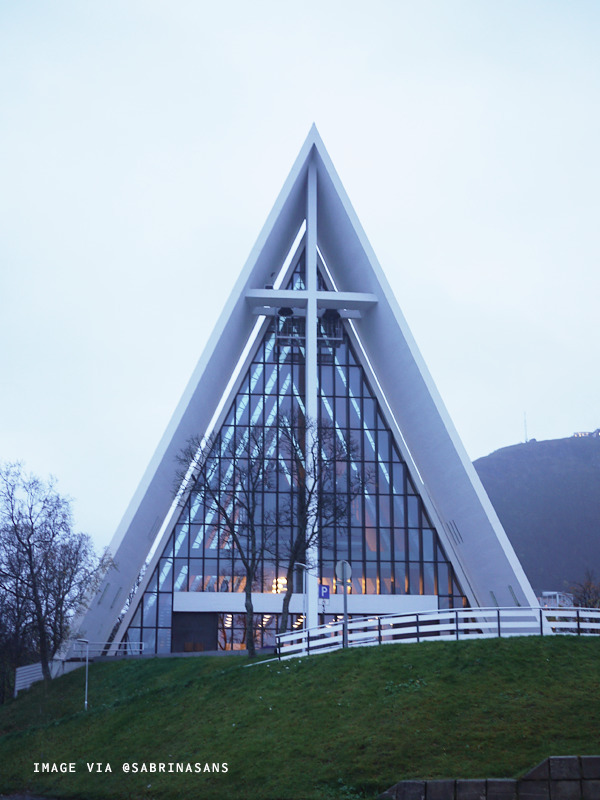 Tromsdalen Church, a.k.a Ishavskatedralen a.k.a the Arctic Cathedral is the northernmost cathedral in the world. It's a wonderful example of Scandinavian architecture and was designed by architect Jan Inge Hovig in the 60's, with glass mosaics by Norwegian artist Victor Sparre added to the building in the 70's. The unique structure provides for excellent acoustics so many concerts are held at the cathedral. The cathedral is located across a winding bridge from Tromsø's city center. It's about a twenty minute walk across the bridge from start to finish. Polaria is the world's northernmost aquarium and a great option for families with young children (although this adult still had fun by herself). The museum itself is rather small (I probably spent a little less than an hour there) but provides an interactive and educational overview of the area's marine ecology. The main attraction is an open pool with bearded seals, with a live feeding show twice a day. 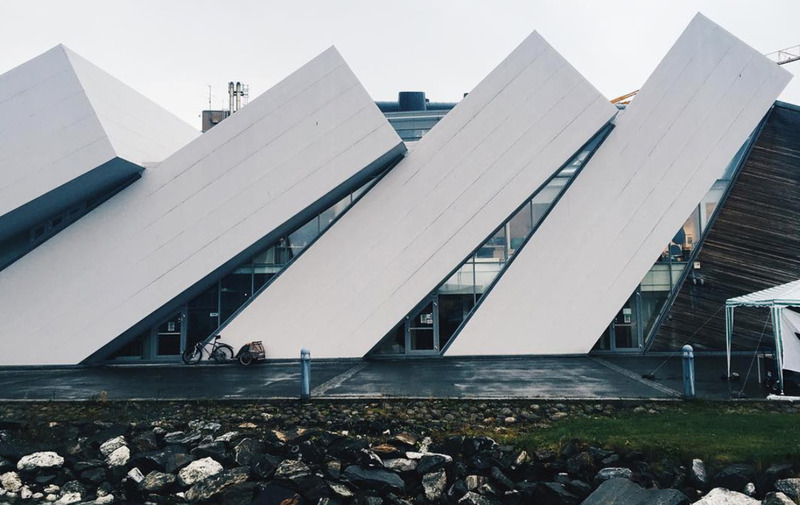 The architecture is also a part of the appeal and is an abstract representation of ice floes pushing up against land. Entrance fees are around $15 for adults and $8 for kids, although they do occasionally have discounted prices (the day I went entrance was 50% off). 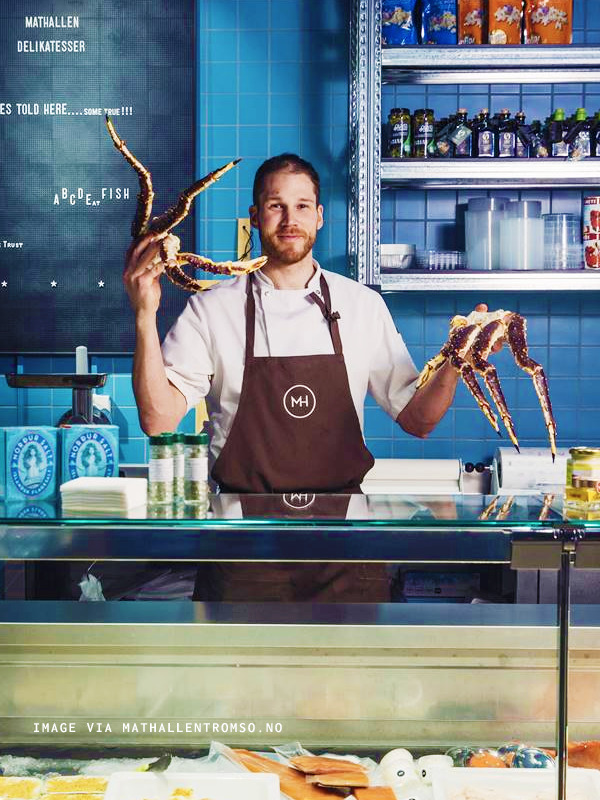 Mathallen may be more familiar to those who've visited the famous food hall in Oslo. This outpost is much smaller and includes a fine dining restaurant and a speciality deli that also makes for a great place to pick up gifts to take home like reindeer jerky. As for the restaurant, they offer a 4-course tasting menu for approx. $86 per person. Ingredients sold in the deli and used in the restaurant are all locally sourced across Norway. TBH I'm kind of kicking myself for not spending more time in Tromso, because if I could re-do my trip I would spend less time in Olso and Bergen in order to fit in a trip to Svalbard, an archipelago located a little under two hours north from Tromso by plane. 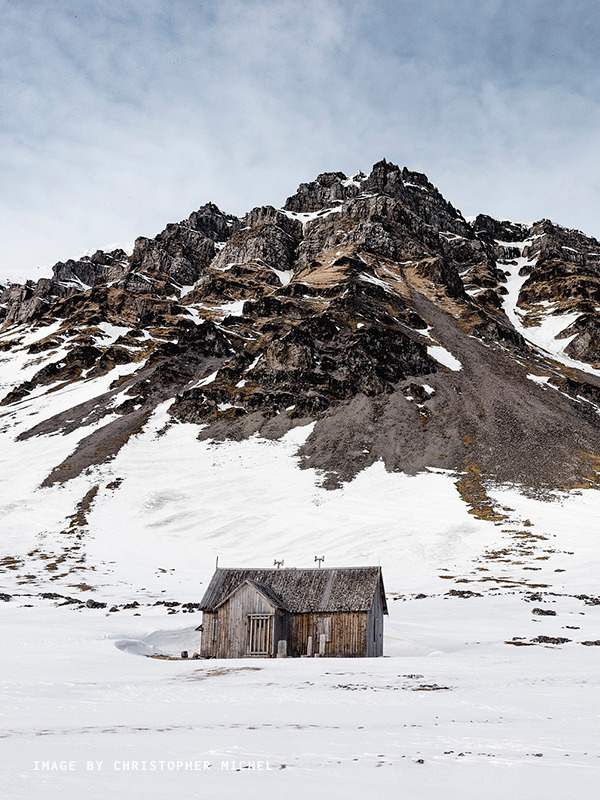 Svalbard is home to the northernmost settlement with a permanent population (meaning, not researchers). In fact, people often say there are more polar bears in Svalbard than people. In addition to polar bears there are arctic foxes, reindeer, blue whales, narwhals, and a host of other marine species. Fun fact: after Norwegians, Thais are the most populous immigrant group in Svalbard.